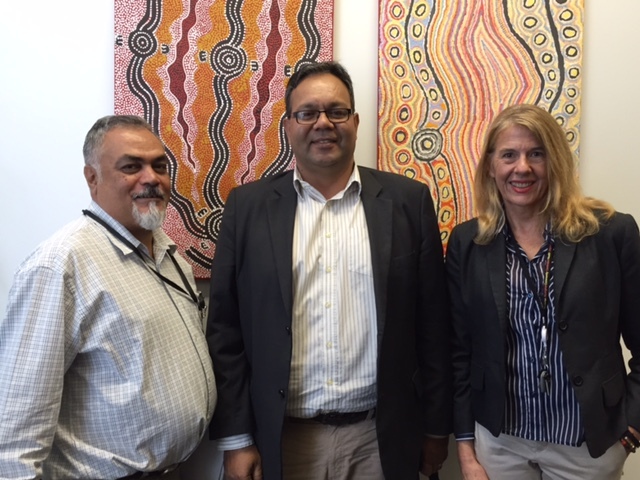 This has been a very busy fortnight for NBPU TIS, with our big annual Ninti One organisational meeting happening in Alice Springs last week, plus NBPU TIS Manager, Desley Thompson and Liaison Officer, Allan Miller visiting a few organisations in Victoria this week. 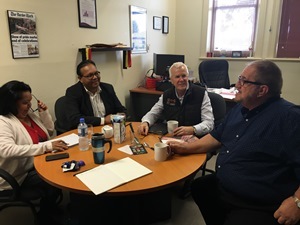 During last weeks meeting, Desley also skyped through to a meeting in Melbourne to promote the NBPU TIS. Although it would have great to be in Melbourne in person at this meeting, skyping was great form of communication to the group. Feedback has been pretty good with this and we encourage others to give it go. Desley's Skype name is "desley113" plus you can also FaceTime her through her email address. Expose TIS-funded organisations and key stakeholders to the evidence base and the way it can be incorporated into their operations. Our NBPU TIS Project Director is Rod Reeve. He is a South Australian scientist who has been leading Ninti One Limited for the last two years. Prior to moving to Ninti One, Rod worked as an international development specialist for 25 years, which took him to 42 different countries. He became a world leader in international development â€“ and ended up managing one of the worldâ€™s biggest aid contractors for the World Bank and the UK, US and Australian governments. He says that his greatest achievement was to reduce maternal and neonatal morbidity and mortality on a large 10-year Womenâ€™s Health project in eastern Indonesia (funded by DFAT). He is now applying this expertise to health systems in Australia. 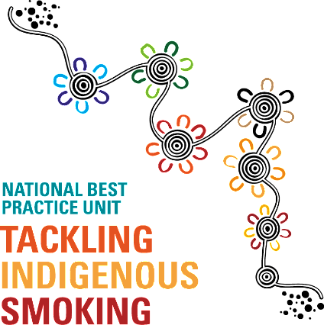 Rod is looking forward to meeting CEO/GMs, Program Managers and/or Team Leaders at the first workshop of the National Best Practice Unit for Tackling Indigenous Smoking in Adelaide on the 11-12 May 2016.